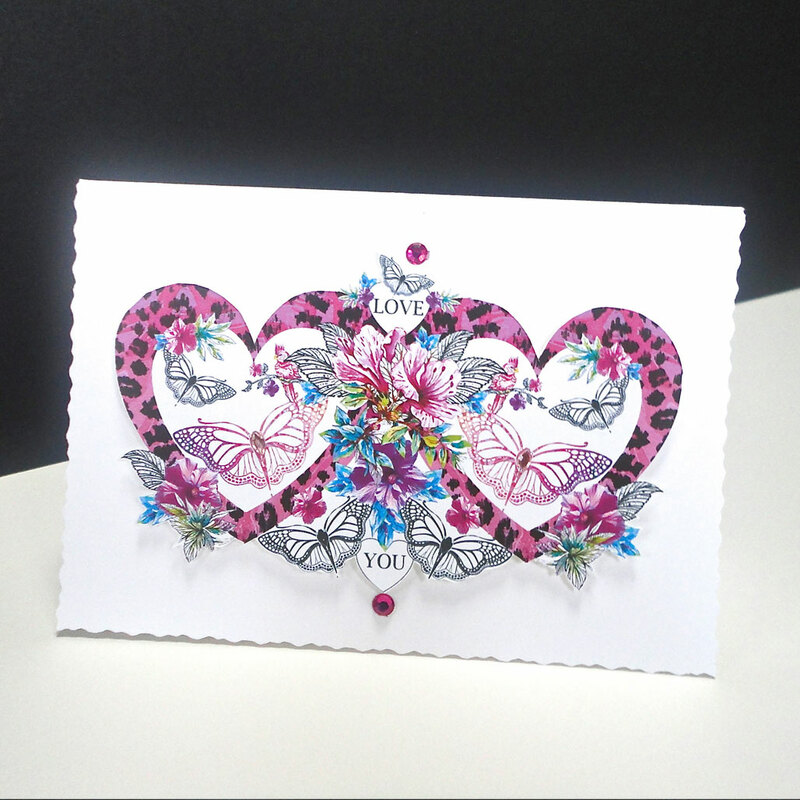 Two pink animal print patterned hearts are brought together with a corsage of flowers, while cockatoos sit either side amongst black and white butterflies which adorn two small hearts with the personal message reading 'Love You' for that someone special. 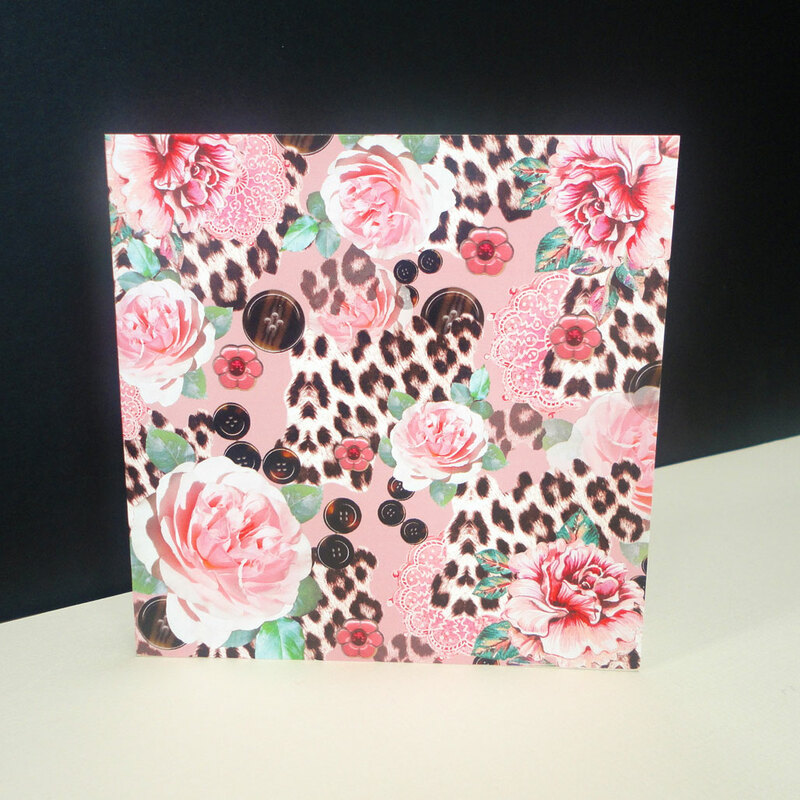 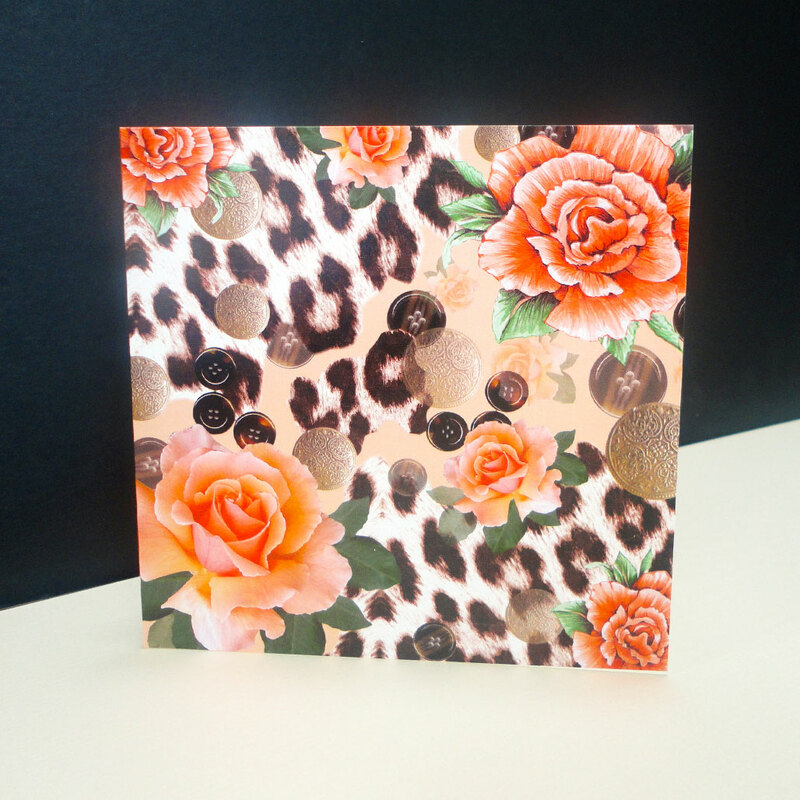 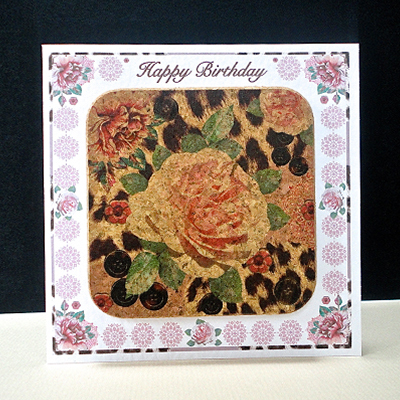 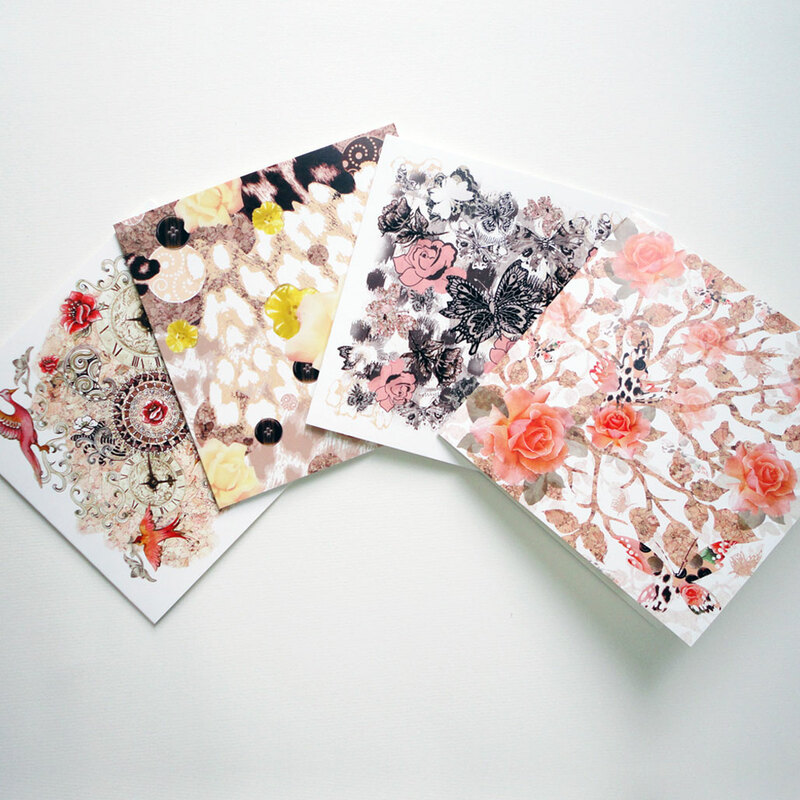 The design combines photographic and hand drawn/painted elements creating an extraordinary unique card for so many occasions. 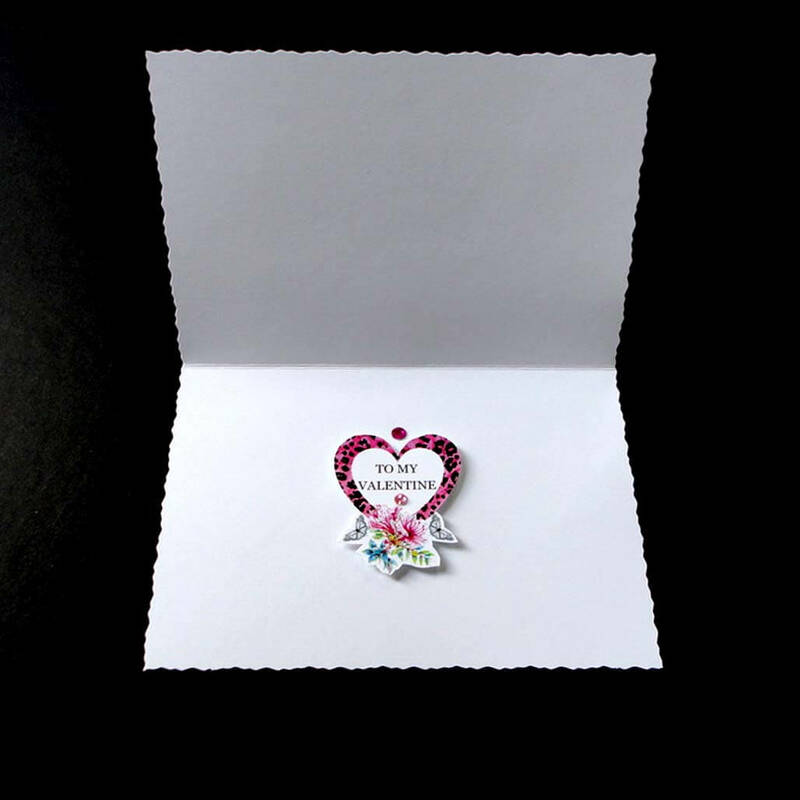 A very special decorative card to say ‘Love You’ Inside is another single heart that says ‘To My Valentine’ The heart-shaped design is hand-cut and mounted in relief on a white background and hand finished with bright pink round glass gems.